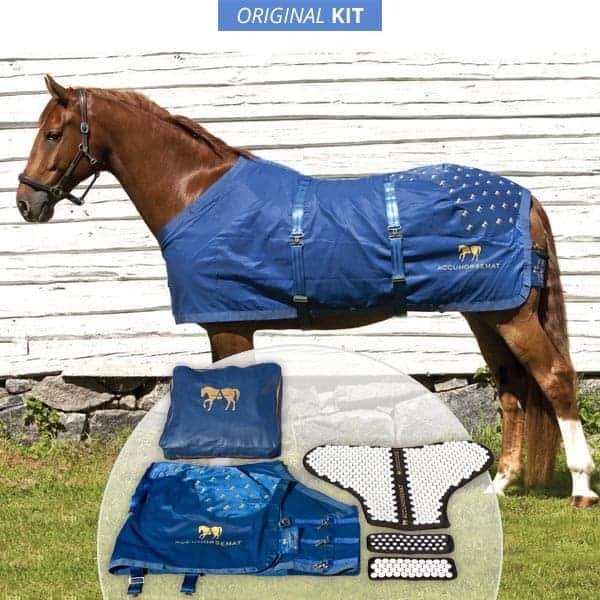 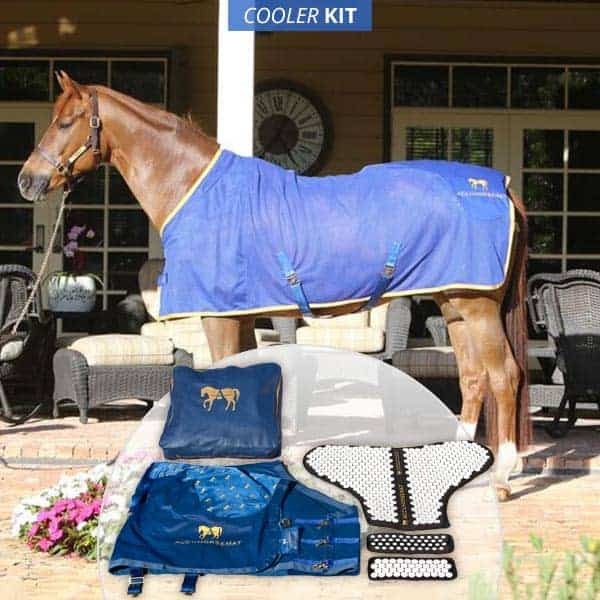 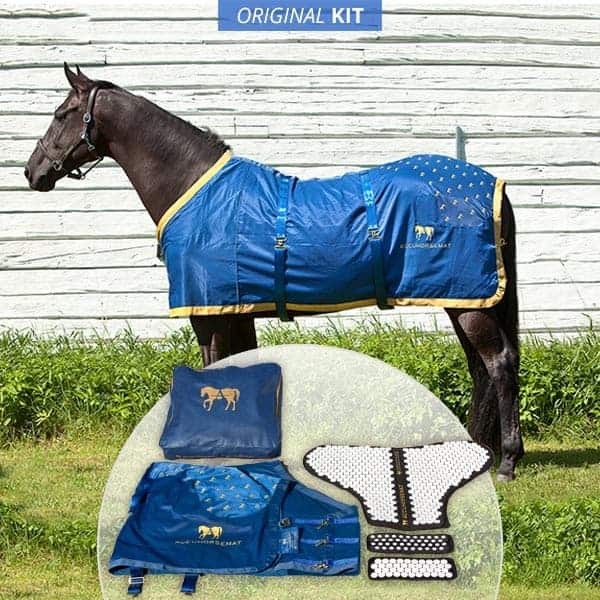 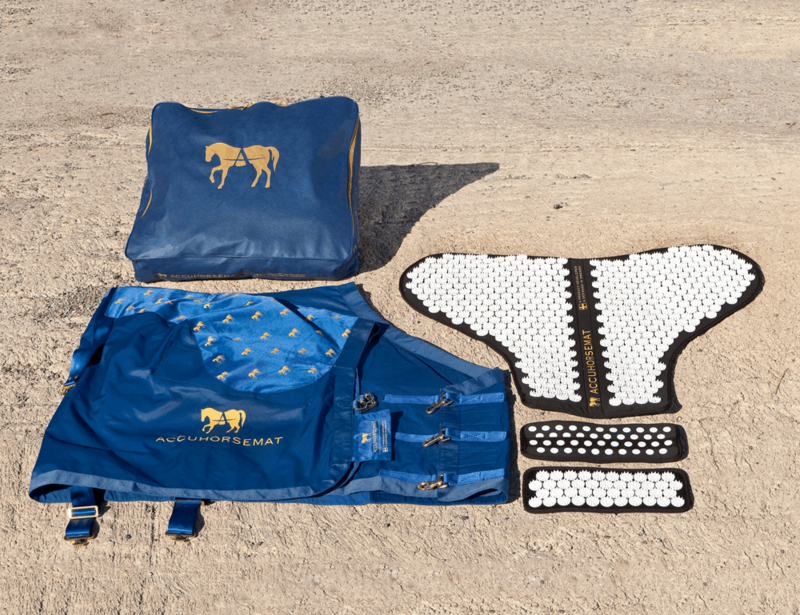 The original version of the Accuhorsemat comes with everything you need for equine acupressure: a standard weight blanket, one hindquarter acupressure mat, two shoulder acupressure mats and a case to store the blanket. 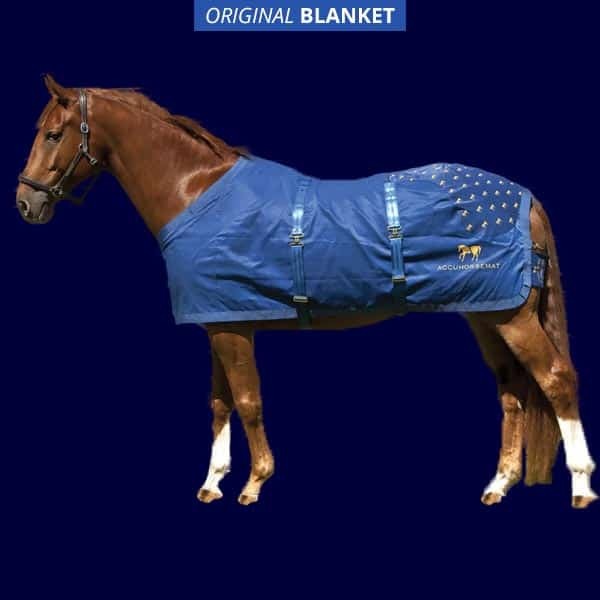 Accuhorsemat® is an innovative acupressure horse blanket designed for equine therapy. 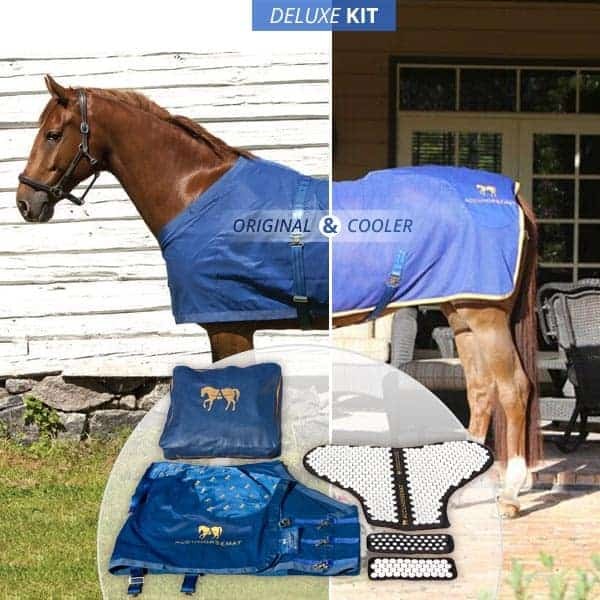 It increases circulation and relaxes restrictions in connective tissue to facilitate smooth movement, prevent injury, and improve recovery after exercise.